Trust A Trader approved RGB cleaning uses HOT ultra pure water to deliver outstanding results everytime. We provide A profeshional service across the county to domestic and commercial clients. Professional stone floor cleaning is one of our favorite jobs we can gently restore your natural stone to its former glory. We can strip, polish and re-seal your stone or give natural look. Trust a Trader approved RGB cleaning caries out Amtico Floor Cleaning Bedfordshire and Milton Keynes, we can strip clean and re-seal your Amtico floor restoring its former glory. We are trust a trader approved and fully insured, please feel free to get in touch for a no obligation quote. RGB cleaning provides a profeshional window cleaning service to Schools across Bedfordshire. 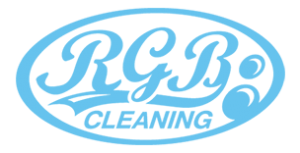 RGB cleaning is the company of choice if you are looking to restore the look of your safety floor, we can deep clean and restore or we can offer maintenance packages ensuring your safety floor’s always look clean! RGB cleaning provides profeshional Stone Floor cleaning Bedfordshire, we can clean clean, restore, polish, seal, dress and restore your natural stone floor’s. RGB cleaning provides profeshional Marble floor cleaning Bedfordshire and Milton Keynes, we can clean restore polish and seal the tile’s bringing back there former glory.